The accessory kit LightLane© „Wall Mount“ allows to install a LightLane© pendant luminaire on the wall. 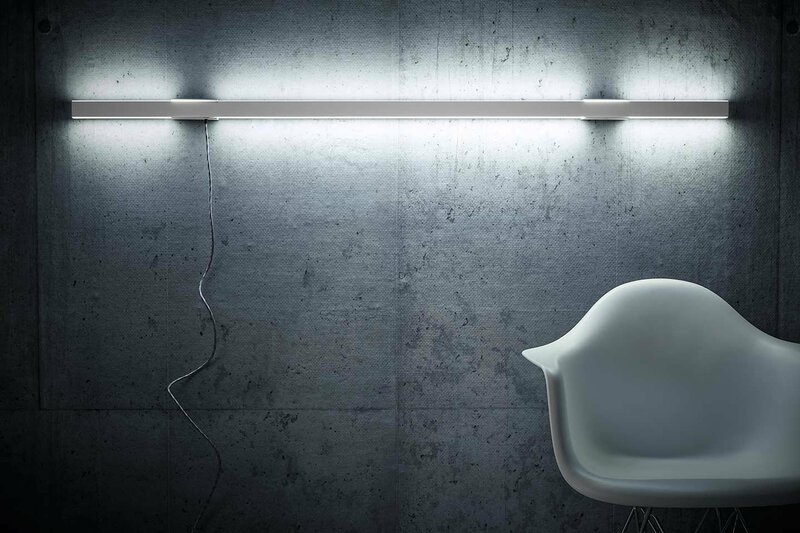 Linear wall lights with a length up to 300 cm can thereby be achieved in a practical yet elegant manner. 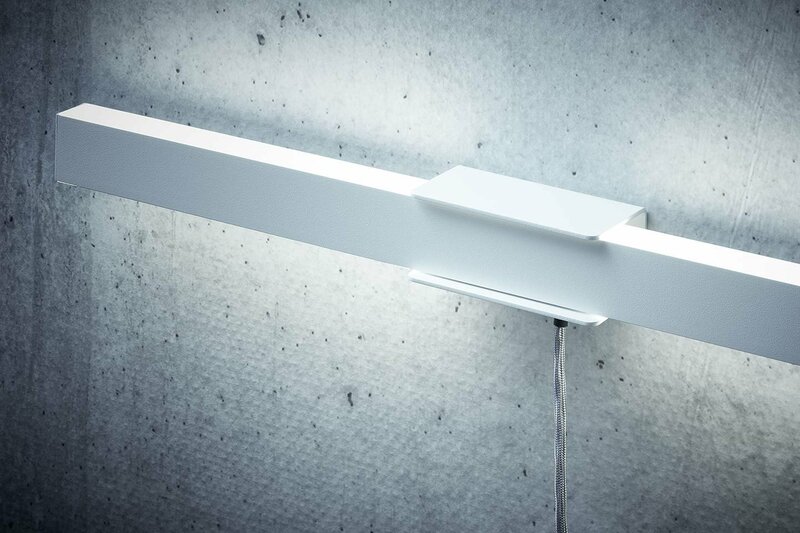 Any available pendant luminaire from the LightLane© family can become a wall light with no effort. LightLane© „Wall Mount“ are available for delivery in our four standard ﬁnishes: textured white, anthracite, mattsilver, bronze.